Smith released a solo LP with the band ASAP (Adrian Smith And Project) titled Silver and Gold in 1989. Following its release, Smith departed from Iron Maiden in 1990 when recordings for the No Prayer for the Dying album were about to start, and was replaced by Janick Gers. After releasing the experimental Somewhere in Time and Seventh Son of a Seventh Son albums, Steve Harris had decided to take the band back to a more traditional hard rock direction which can clearly be heard on the No Prayer for the Dying album. 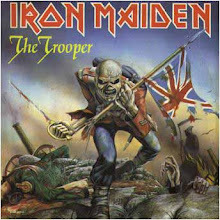 This album featured one last song co-penned by Adrian with Bruce Dickinson, "Hooks in You". "When he left the band in 1990, I think everybody was a bit surprised at how much we missed him and certainly, I don’t think anybody had realized how much the fans would miss him - big time. I wouldn’t have rejoined Iron Maiden if he wasn’t in the band. I just don’t think it would have been complete without Adrian, and now, it’s great having three guitarists." In 1996, Adrian joined forces with former Helloween vocalist, Michael Kiske on Kiske's solo album Instant Clarity. He plays guitar on a few tracks and co-wrote a few songs. Later, Adrian formed his alternative rock-influenced band Psycho Motel. This band was a progression from an earlier music project of his, The Untouchables, which had featured some of the members from ASAP and Jamie Stewart (former bassist of the rock group The Cult). The band recorded two albums, State of Mind (1996) and Welcome to the World (1997). Smith would also play on Bruce Dickinson's Accident of Birth and The Chemical Wedding albums. The influence of this more progressive direction, as well as Adrian's heavier rhythm guitar playing, on Iron Maiden's own performances since he rejoined the band is clear. On 22 August 1992 Smith made a brief appearance onstage with Maiden to play "Running Free" during the Castle Donington 'Monsters Of Rock' Festival. 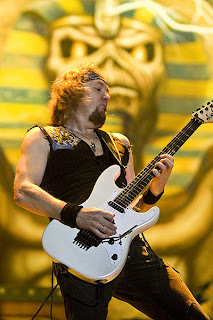 In 1999, Smith re-joined Iron Maiden for the "Ed Hunter tour", a tour in support of the video game of the same name. Since then, Iron Maiden have released 3 studio albums, Brave New World in 2000, Dance of Death in 2003 and A Matter of Life and Death in 2006. He remains with the band to this day.